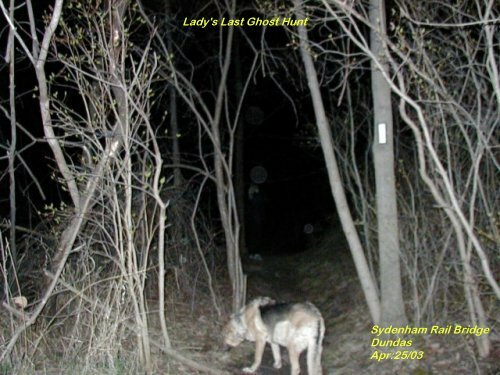 We dedicate this page to LADY our ghost hunting dog that brought us much joy over the years and who gave it her all to love and protect us. 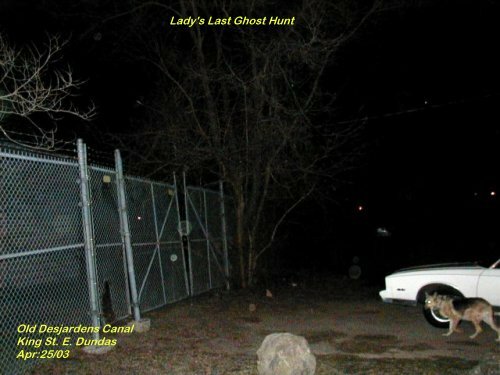 On April 25th,2003, 6 days before her death she had gone out with us to the following locations. It was a cold night and we were geared up to go out and see what we could get on film. We arrived at the old Desjardens Canal that runs along King Street in Dundas by old York Road. 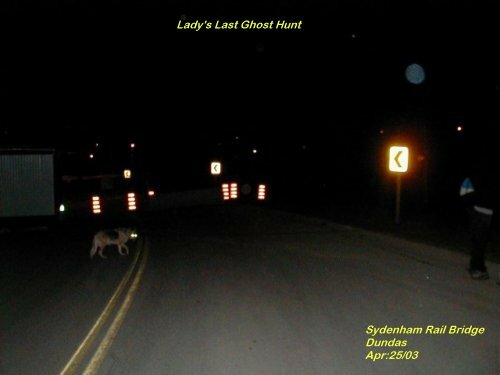 Lady was eager to go with us and enjoyed her ride out to the above location. 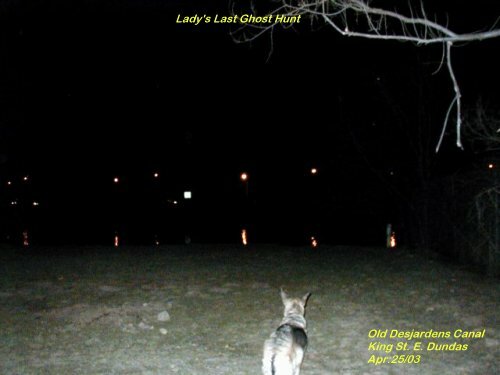 In the photo above Lady investigates the geese and ducks in the water. 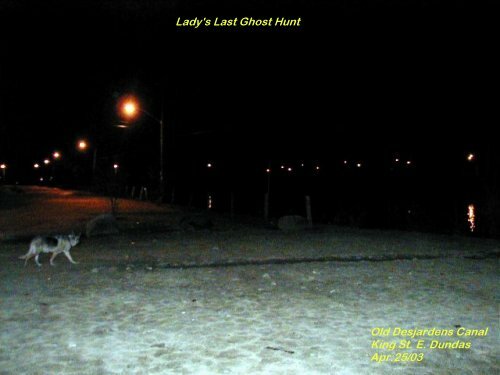 Lady runs over to check out a noise she heard by the waters edge. 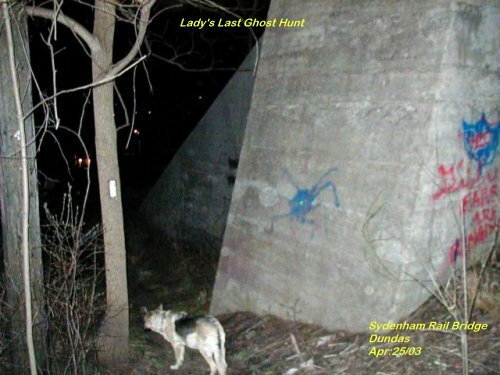 Lady then headed over to a small hydro station located near the canal. It appears that she had found a bit of activity around the station. After taking some photos there we returned to the Sydenham Rail Bridge. Lady followed me right up to the top of the bridge and she seemed to have picked up a scent in the air. 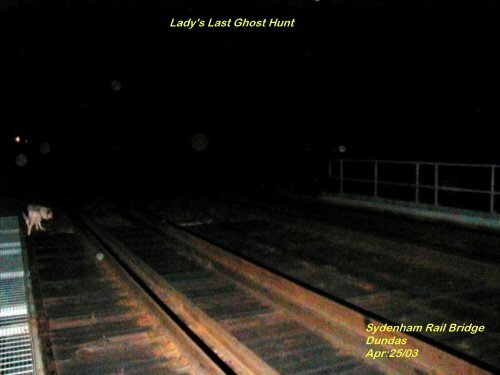 Down by the rail there was a small orb by her. After taking many more shots Lady and I went to the trail by the bridge. 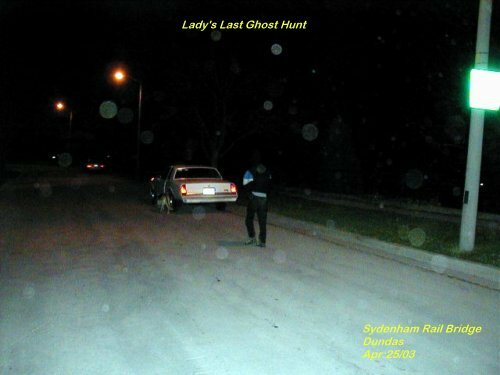 It appears that Lady was sniffing out those pesky ghosts. It started to get really cold so we started to head back to the car with Lady leading the way as she always did then waiting for us to catch up. We made it back to the road and it appears that a blue angel spirit was with us to the right. Lady seemed to be happy when we were heading back towards the car. Matthew and Lady heading back to the car with a lot of company in tow. We miss you LADY but you will live forever in our hearts. 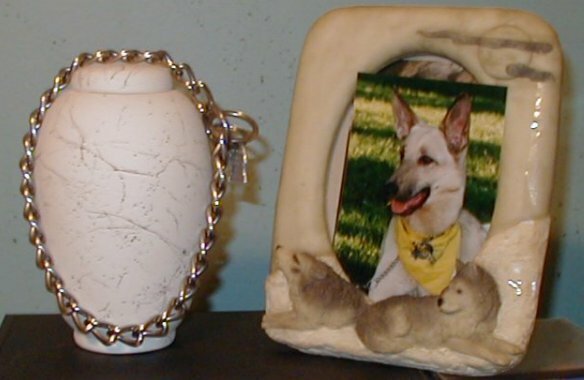 "Ladys Email to us from Rainbow Bridge"
To have loved and then said farewell is better than to have never loved at all. For all of the times that you have stooped and touched my head, fed me my favorite treat and returned the love that I so unconditionally gave to you........ for the care that you gave to me so unselfishly... for all of these things I am eternally grateful. I ask that you not grieve for me but rejoice in the fact that we lived, loved and touched each other's lives. My life was fuller because you were there -- not as a master/owner, but as my friend. Today I am as I was in my youth. The grass is always green, butterflies flit among the flowers and the sun shines gently down upon all of God's creatures. I can run, jump, play and do all of the things that I did while with you. There is no sickness, no aching joints, no regrets and no aging. We await the arrival of our lifelong companions and know that togetherness is forever. Companions such as you are so rare and unique. Don't hold the love that you have within yourself. Give it to another like me and then I will live forever. For love never really dies, and you are loved and missed as surely as we are. The following Diamante Poem was written by Matthew in honor of Lady, our dear friend and companion, gone too soon.